The Komodo National Park, home to the prehistoric, dinosaur-esque Komodo Dragons has been raised as one of traveler’s top destination in Asia. It’s a set of far flung islands where you can go back in time, see ancient dragons, dive on one of the best water in the world, and get lost in the middle of savannah fields. It’s one of the prides of Indonesia’s Ministry of Tourism, a UNESCO’s World Heritage, and currently hold a place as one of the New 7 Wonders of Nature. The National Park, made from three main islands—Komodo, Rinca, and Padar—and more than 20 surrounding islands is a perfect destination for a sailing trip. 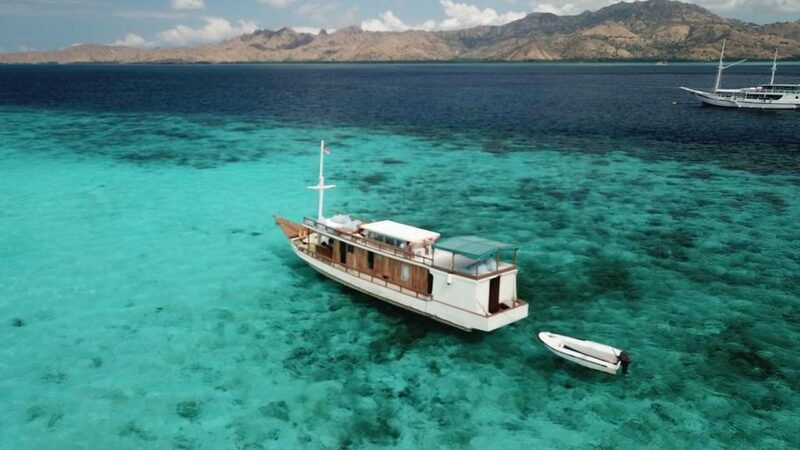 In fact, Komodo liveaboard, yachts, and boat charters are the main vessel to explore this little haven. Just like plane tickets and hotels, you would certainly wish to have online arrangements for everything in Labuan Bajo, Komodo. And certainly, that includes the liveaboard booking as well. But finding trusty liveaboard operators that match your preference and budget while you are thousands miles away could be challenging. Before you are keying your credit cards details to an obscure liveaboard website and put your life savings at risk, read this little guide first. Here, we have some tips to identify reliable Komodo liveaboard website that won’t steal your money for fake services. Do you know how pricy is it to maintain a good website, let along keeping it afloat on Google’s top pages search result? Eliminate your initial liveaboard candidates by picking websites that are enlisted on Google’s first (or at very least, second) page. With steady budget to maintain their website’s rank on Google, there’s a high chance that they are run by professional, profitable companies. Some of the best Komodo liveaboard boats and yachts that we knew a good, maintained social media. And they are not shy on replying comments and displaying their sailing programs on their feeds! This should goes by common rules; in this digital age, a serious business will take social media seriously to attract their market as well as maintaining their presence in public. The next time you find attractive liveaboard, go to Instagram and take a peek at their account! After all, good websites and refined social media presence will mean nothing if the said liveaboard operator are not contactable at any form. Your potential Komodo liveaboard should have either; email address, phone number, or inquiry form. Their phone numbers should be working, and both of their email and inquiry from should reply your inquiry within 1-2 working days. Knowing the prices of their liveaboard straight away is a good indicator that the operator is indeed not a scam. Some operators lists all their prices and packages on the websites, while others prefer to send it to you by email. Either way, you should have their prices in your hand before making any down payment. Also, make sure that those payments are free from any hidden booking fees. How the operators communicate with you is a tell tale sign of a trusty / scam liveaboard service. If they took more than a three days to reply your every emails, leave. If they don’t make any effort to reply on basic professional English, leave. If your gut feelings tell you that they only want your money, leave. You’ll know instantly when you are dealing with true, trustable professionals whose purpose is to give you best Komodo experience.